As the sun beats down on the UK in one of the hottest summers in living memory, who doesn’t want to think about escaping to the coast? 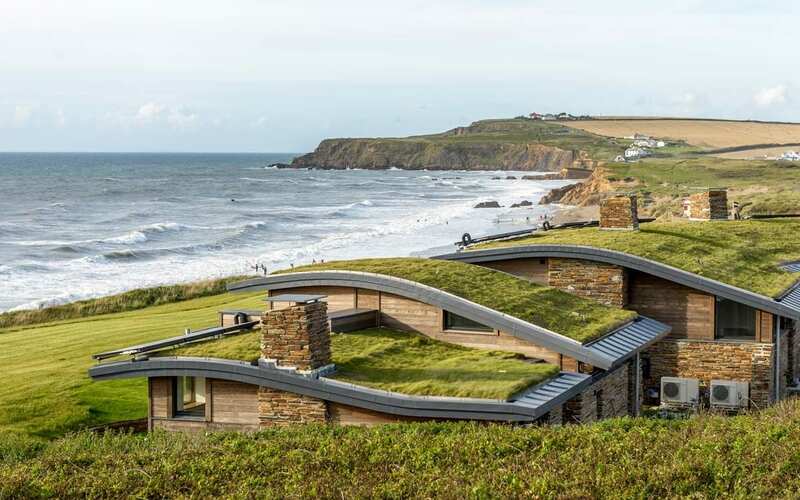 In this article, we whisk you away to a range of coastal areas to look at 10 of the most amazing seaside houses in the UK. From supremely modern to charmingly traditional, you will be blown away by the architecture on display. Designed by architect firm Denizen Works, this house was built on the site of a B-listed black-house on the west coast of Scotland. It is actually two houses, a living house and a guesthouse, all linked together by a utility wing. The result is a bold new feature of a beautiful landscape that wonderfully reflects the character and heritage of the Isle of Tiree. It borrows from local agricultural buildings, meaning soft roof forms, corrugated cladding and chimneys along with deep-set stone walls, a black and white colour palette and black tarred roof. This was the product of a project that involved adding a rear extension to an existing 1970s bungalow to create a unique and remarkably green Cornish seafront home. There is a comprehensive energy saving strategy in place, meaning the home is efficient as well as beautiful – it’s the perfect harmony of aesthetics and functionality. This focus on green living is truly in keeping with the demands of the modern market, making the property more future-proof and ready to cater to the increasing environmental demands of society. 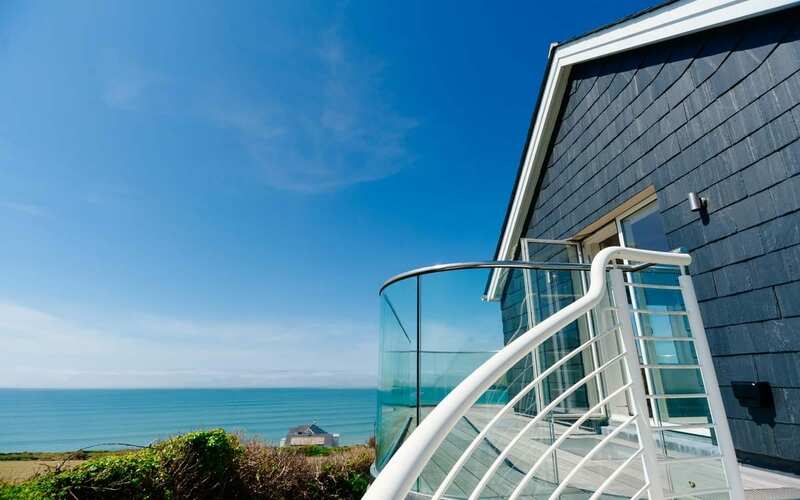 The Bazeley Partnership designed this house, and it’s described as “a new contemporary build in Widemouth Bay”. The task was to design something modern and unique to replace a run-down bungalow that previously occupied the land. There were very specific height and footprint restrictions to adhere to, so a lot of creativity was required. The result is quite astounding – you’d never guess that there was something old and dilapidated there previously. It is a beautiful minimalist property combining wooden elements and brick in the facade for the best of both worlds. This home on the Musselburgh seafront is a flamboyantly modern architectural piece that takes advantage of the beauty of its location. It was designed by Wiszniewski Thomson Architects, and is an eclectic mix of an art deco style with the stark lines and minimalist chic that 21st century design has embraced with such vigour. This house wouldn’t look out of place in California. This is an enigmatic addition to this list, with its unusual look of dark metal platforms and transparent safety rails. Is it a modernist design, an industrial masterpiece, or somewhere in between the two? Wherever you fall on the argument, there’s no doubt it features spectacular views that few seafront properties can match. In this home, you could eat on the terrace beside the wonderful coastline, then retreat to a bedroom and still enjoy an equally stunning view. This is a specially-built luxury home with the young family in mind, evoking youthful personality and providing ample scope for entertaining and socialising. It oozes potential for great parties, and has a spectacular look no matter which angle you are observing from. It is the quintessential British coastal home with an injection of luxury – it would be a great setting for classical period dramas. With unobstructed views of the ocean, and plenty of windows to enjoy them, this had to rank highly on this list. There is a strong nautical feel to this house’s structure, boosted by the use of exquisite marine materials like rich, treated wood. It looks perfectly positioned so close to the sea, owing to its inspiration from a site that is well-known for its seafaring heritage. This is a house full of unique proportions and innovations, known for being “spectacular” to observe and featuring the best views over Bigbury-on-Sea. It includes a sweeping deck and terrace around almost the entire property, and is all on one floor. With five stunningly furnished bedrooms (all fitted with ensuite wet rooms), all generations can enjoy the space and its beautiful views of the sea and surrounding countryside. The entire property is finished to the highest of specifications, and it is quite the architectural marvel. Another fantastic offering from the Bazeley Partnership, this home is recently finished with five bedrooms overlooking the spectacular Daymer Bay and Polzeath Beach. The site was purchased with the aim of developing a family home that was attuned to its coastal surroundings. The unique location provided great inspiration for the design, which features accommodation over three floors and has a cinema room and gym built-in. There are several designated living areas that offer mouth-watering views, with balconies to enjoy the fresh sea air. The number one choice for our top 10 architectural coastal houses list is a contemporary beachfront home on England’s south coast. It is a luxury three bedroom modern house with super insulation, sitting on one of the UK’s most beautiful waterfront locations. The incredible views look out over the Solent and the iconic Isle of Wight. The location and view from this home are enviable in themselves, but the architecture of the property makes it truly stand out from the pack. It is the picture of coastal elegance, with unique architectural features that ensure it has a grounded place in the beautiful scenery that surrounds it. 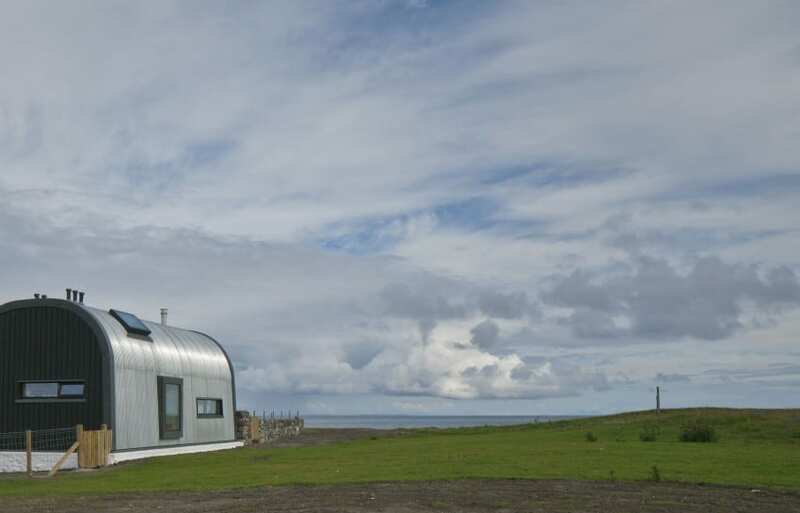 Living by the sea is a common ambition for many people around the country, but to be able to do it in one of these incredible coastal houses would be a dream come true. They all feature some of the most intricate and innovative architecture you will find anywhere; striving to set new standards in aesthetics whilst meeting all the demands of coastal living. If you’re anywhere near any of the locations we’ve listed, why not make a trip to see one of these beautiful homes in the flesh?